If you have suffered a loss and now have the responsibility and pressure of dealing with the estate. We can help this in this difficult time, we offer to buy your house rapidly and leave you with no extra stress. 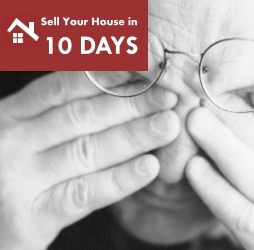 10 days will make an offer on your house and deal with the whole process from making an offer through to completion. In this instance 10 days is compasionate and will help you with the whole process including dealing with the legal and financial aspects of selling the property. We are not an estate agent and do not conduct business in this manner. Leaving you to get on with your life stress-free from the property.